It’s 2 AM and you’ve been asleep for a few hours. Just then you get a call from a panicked coworker: “The Production Server is operating at a crawl right now… We can’t get anything done.” You offer some troubleshooting tips, but you know this is going to be a nightmare. 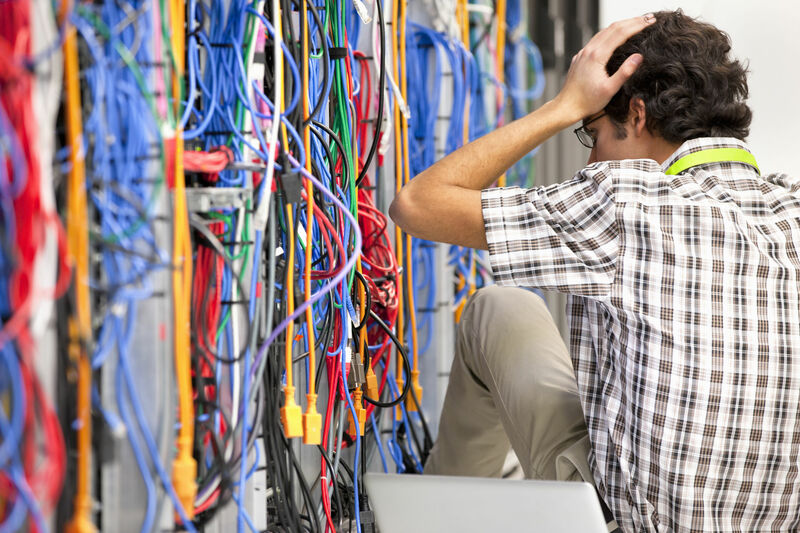 Without the ability to properly analyze network and server statistics, you can only fix things AFTER they break. In situations like this, Software-as-a-Service (SaaS) proves to be a better business model than on-premise solutions. In the past, companies were required to buy, build, maintain and upgrade their Server monitoring tools despite exponential costs. As corporations began to evolve and grow more complex, the costs began to rise without proper foresight. Immediate deployment makes the service immediately ready to use, rather than the time spent setting up appliances, ensuring security and tuning optimization. Initial rate of return can be realized within days of configuration. Total cost of ownership is lowered since there is less complexity in staffing needs, which could be a significant cost for any business. On-Premise server monitoring solutions are a higher upfront capital expense while subscription software has a recurring cost. In a SaaS model, the customers control the costs and can fluctuate with their growth. Total running cost in maintaining existing systems and infrastructure is dramatically reduced. Some companies allocate up to 75 percent of their total IT budget for managing these systems, and SaaS can decrease these expenses. Because the SaaS provider manages all updates and upgrades, there are no patches for customers to download or install. The SaaS provider also manages availability, so there’s no need for customers to add hardware, software, or bandwidth as the user base grows. The current latest technologies such as a heat map on network performance and predictive modeling are available through the SaaS model, as innovations can be directly provided to the users. With on-premise software, the technology immediately begins to age. Getting the latest innovation often requires a time-intensive and costly upgrade and is typically not available for at least a year. In a SaaS model, users can try software before buying to make sure that it is right for their needs. This greatly reduces customer acquisition costs. The SaaS model enables users to fully understand the value of the software to the business without locking up in a costly software acquisition. With all its moving parts, a company’s network can go down unpredictably. A solution that minimizes this risk can be invaluable to any business, regardless of size. Fortunately, SaaS provides this solution by allowing you to watch over all your network’s operations from a single-pane of glass. It is the solution to implement NOW.